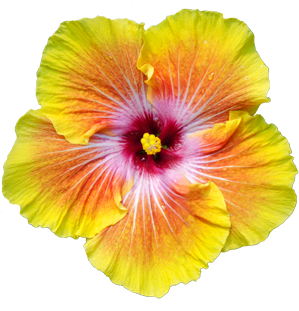 As this variety is called, is stunning as it takes its time unfolding to its full, brilliant, color. 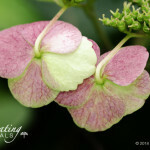 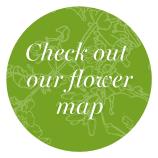 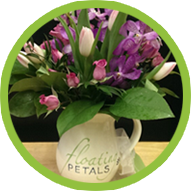 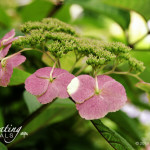 It starts with light greenish-pink petals standing upright. 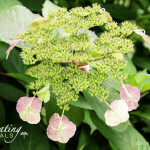 Then as it matures through the summer, each stem, ever so gently, bends forward. 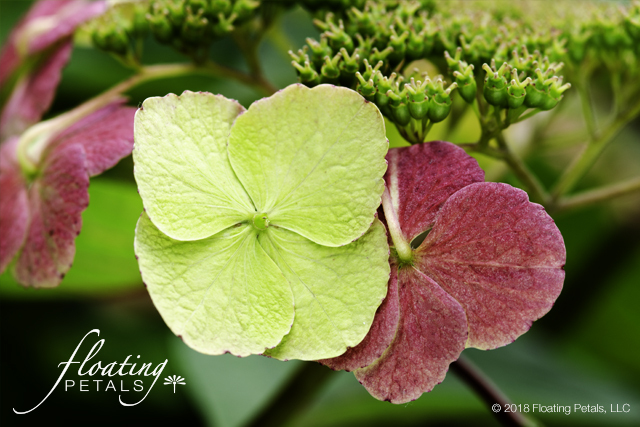 With this transformation, it surprises us with another view of its burgundy rose petals. 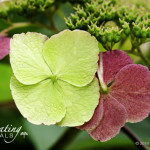 I find this transformation a gentle reminder that by allowing something to unfold, something even more beautiful can come into view. 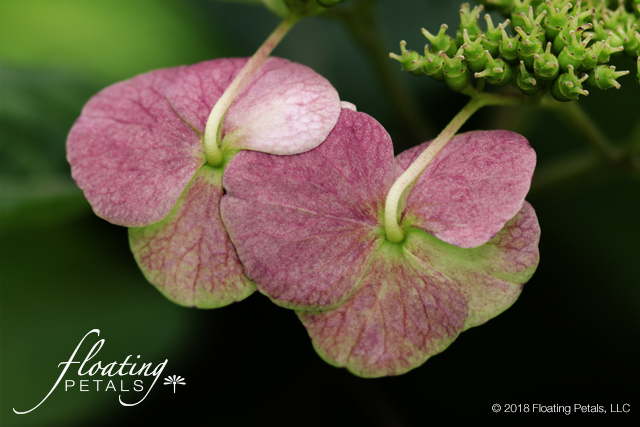 Making its official debut into the Hydrangea world in 2005, ‘Lady in Red’s’ seductive burgundy-rose sepals, red-veined leaves and red stems made quite the splash. 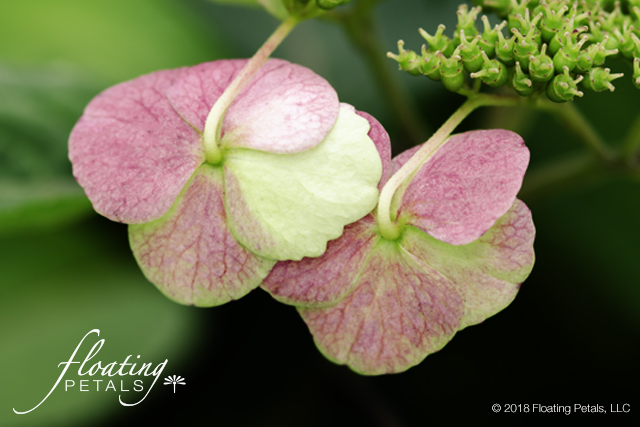 This lace cap’s showy, sterile outer sepals open pinkish-white, attracting pollinators to the inner purple-blue fertile flowers. 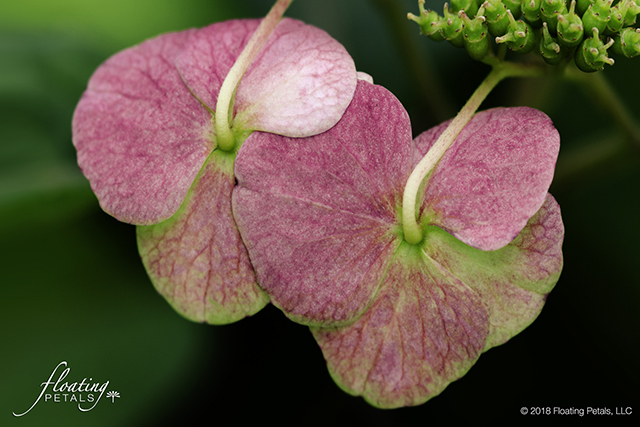 The sepals flip downward as they mature, showing off their burgundy undersides, complimenting rich purple fall color. 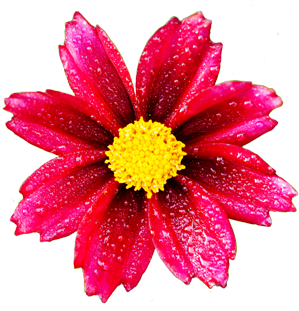 Consistent moisture in well-drained, rich soil in full or part sun. 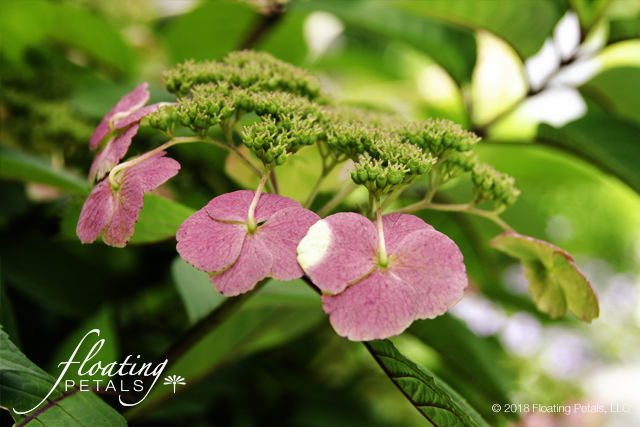 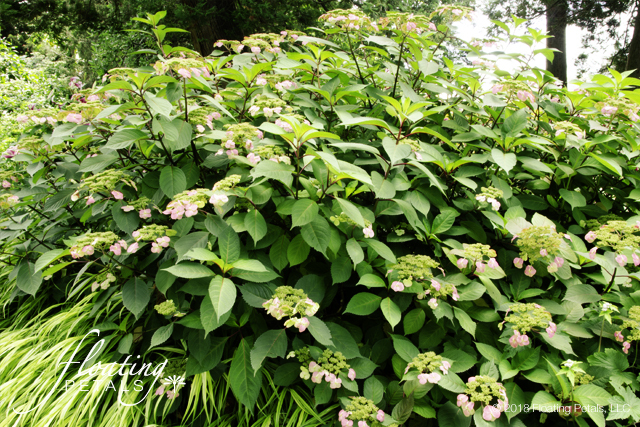 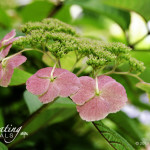 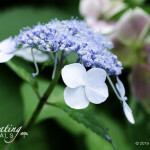 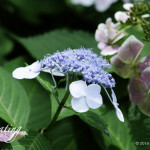 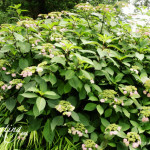 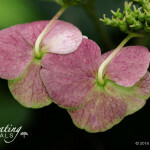 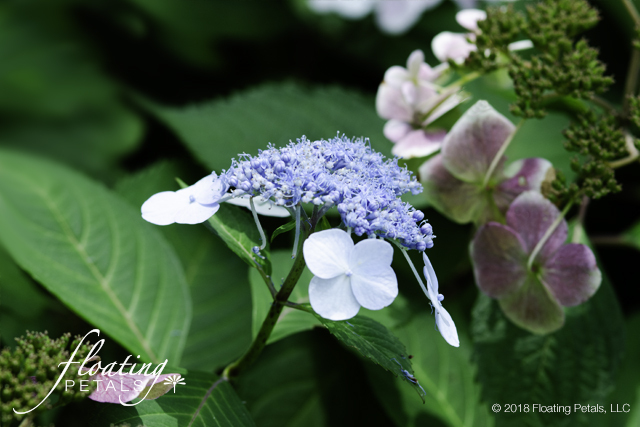 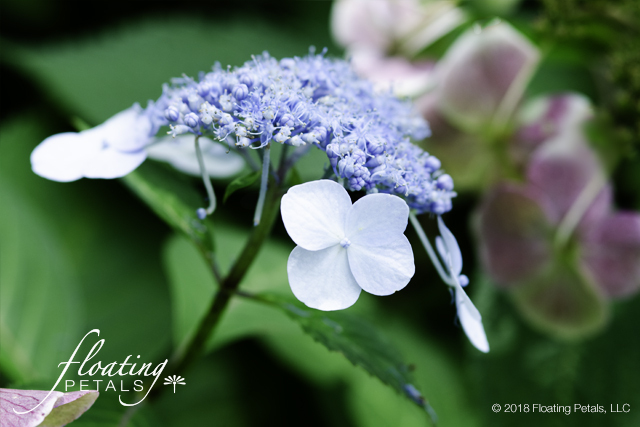 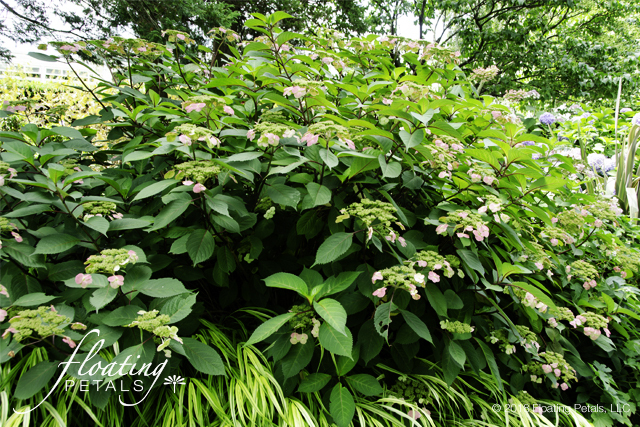 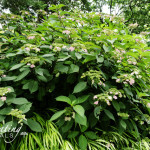 Prune this multi-stemmed shrub after flowering as the hydrangea primarily blooms on old wood. 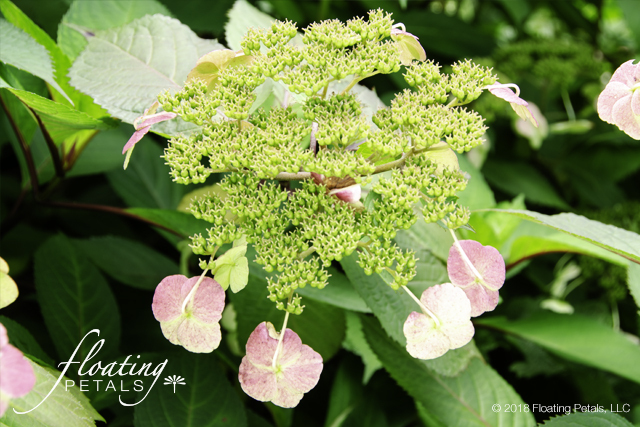 This variety has good mildew resistance.